About 90% of indigenous plant species have a positive association with fungi, which means that both the plant and the fungi need each other to survive. There are several hundred species of fungi that occur in a few hectares of remnant woodland and wetter forest areas. 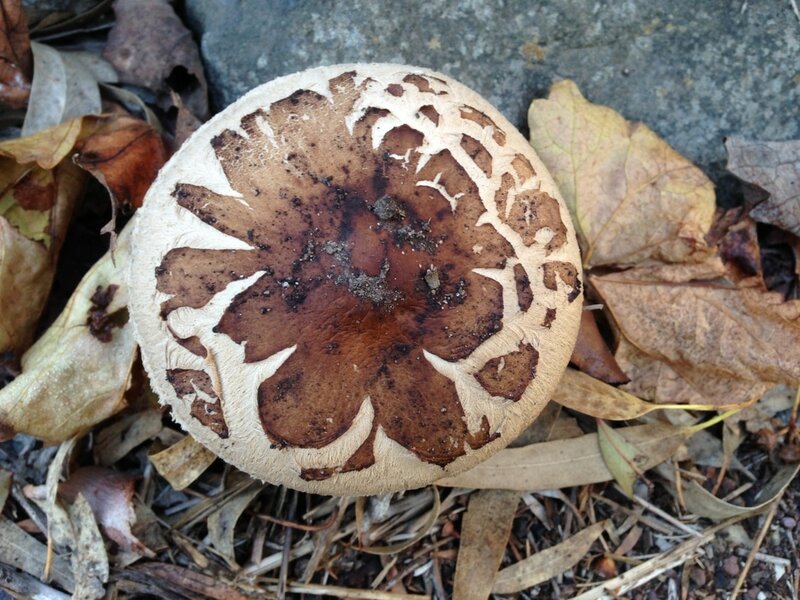 Fungi can be divided into micorrhizal fungi, parasitic fungi, and saprophytic fungi. Micorrhizal fungi have a symbiotic relationship with plants that benefits both the fungi and the plant. 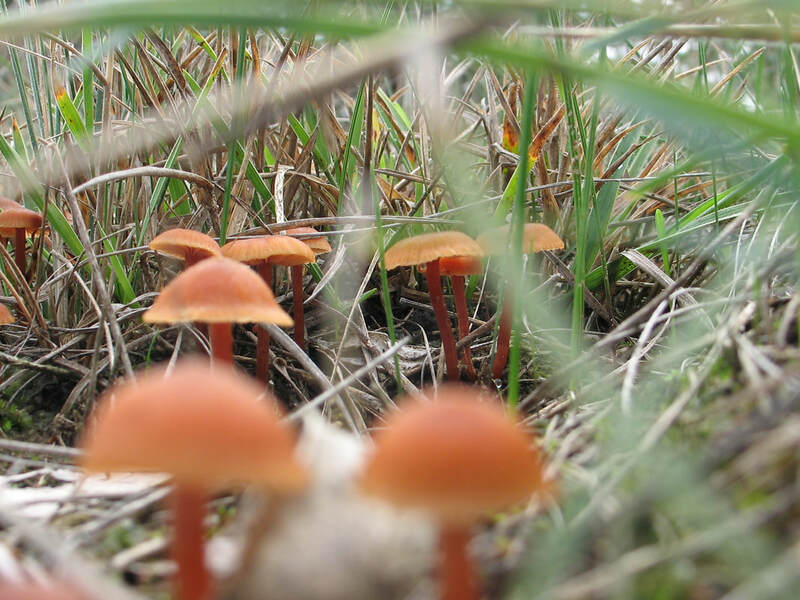 In a Western Australian study, 500 different species of fungi were identified in small patches of remnant bush. In a healthy forest or woodland system these beneficial fungi are spread around by the scratchings and diggings of resident marsupial fauna who supplement their diets by the eating the ‘fruit' of the fungi. Inoculation of nursery stock with mycorrhiza has not generally improved planting success. In the wild, the natural spreading of mycorrhiza by small digging marsupials has improved the health of forest plants. It is therefore likely that fungi loving marsupials will play an important role in keeping plantations healthy in the long term. Int the short term, inoculation of nursery stork with micorrhiza has not generally improved plant vigour after planting in farm plantations. Another microorganism that is important to plants are Rhizobium bacteria. They enable the roots of some plant families fix atmospheric nitrogen in the soil. Families that directly benefit from this relationship include members of the Mimosaceae (e.g. wattles) and Caesalpiniaceae (e.g. cassias) and Fabaceae (e.g. Austral Indigo, Indigophora australis). Other plant species growing in their vicinity also benefit from this addition of nitrogen to the soil. 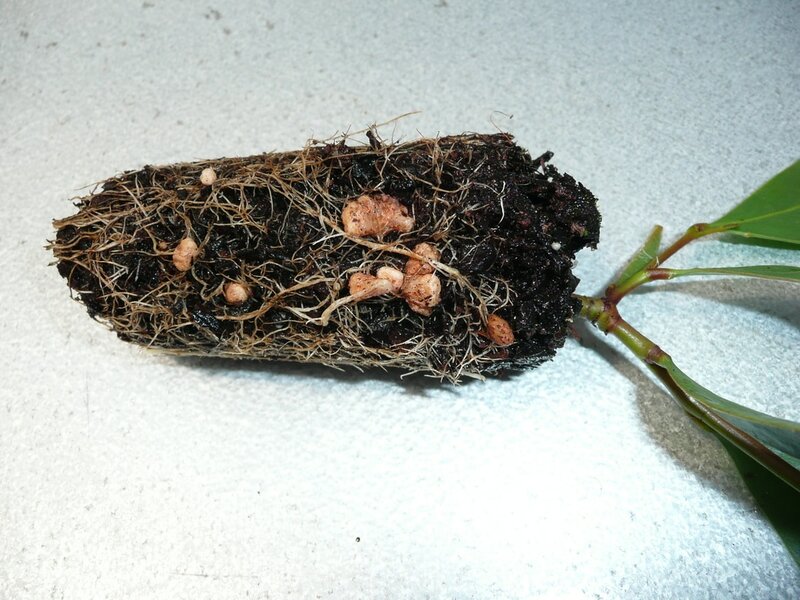 These rhizobium bacteria live in nodules, that look like tiny potatoes, that are attached to the plant roots. 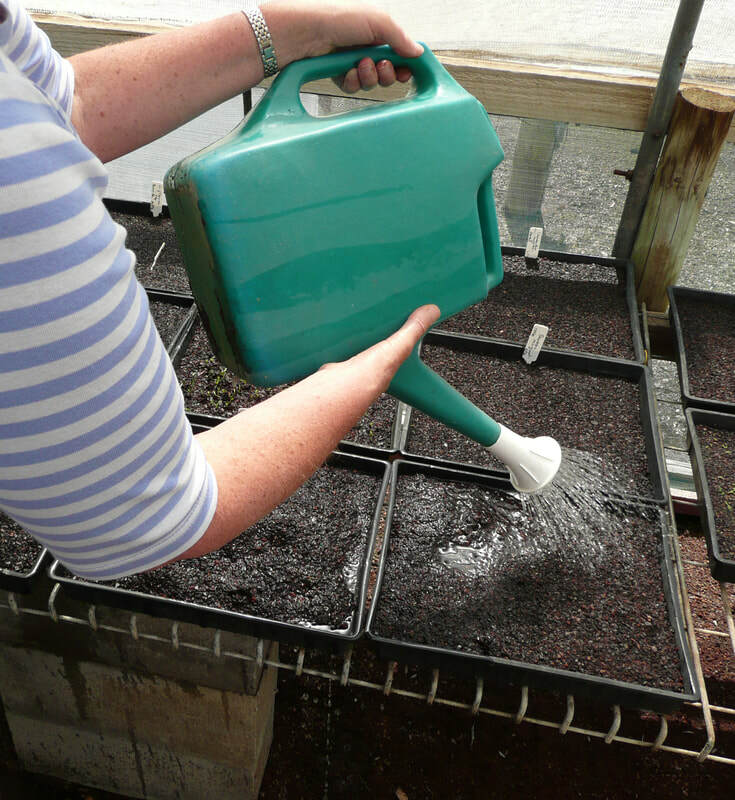 Plants can be successfully inoculated with rhizobium bacteria in the nursery before planting in the field by crushing nodules collected from seedling plants of the same species (the nodules contain thousands of rhizobium bacteria) and adding the juice to water in a watering can which is watered over seedling trays where the seed is germinating. You can read more about our local acacia species in Acacias, wattles of the Geelong Region like this beautiful but prickly Hedge Wattle, Acacia paradoxa. Have you figured out the paradox?